The structural modifications are nearing completion along with some exterior façade modifications to restore the Stubbs Building as it would have looked when it was constructed nearly 110 years ago. The entire second floor had to be reconstructed using a new system that would tie to the existing system and restore the structural integrity of the floor while keeping the historical framing members in place. 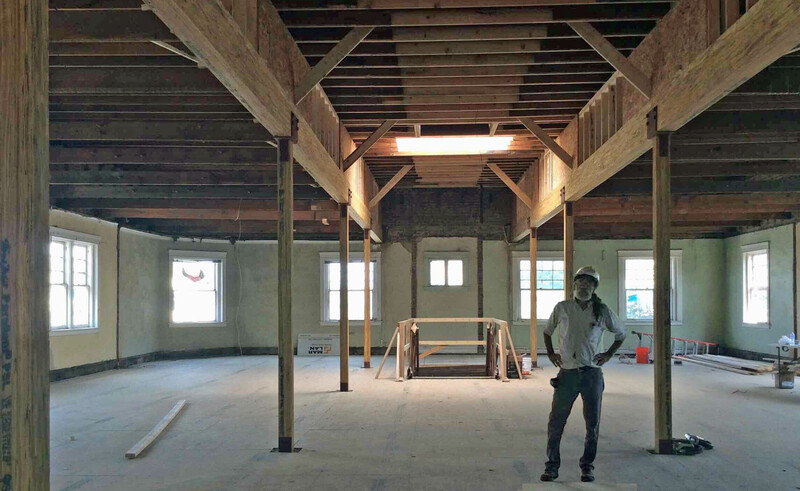 Strategically placed wood beams and columns were added to support the existing roof system opening the second-floor space for future tenant space. Additionally, steel support system would extend from the basement to the main level floor utilizing a column and beam support system to stabilize the main level flooring system. Craig Daniels project superintendent is quite excited to see such a historical building being revitalized and ready for another 100+ years. Stay tuned more to report on this wonderful project.